Mars is in Leo, having joined retrograde Venus for a few weeks. With Mars comes a greater impetus for actively shaping our lives, moving forward and pursuing creative works with increased gusto. You say you don't feel creative? That's okay; if you're into Planet Waves, chances are you're someone who is actively seeking to understand yourself better, and to bring greater awareness to your relationships. That in itself takes curiosity and a creative approach to living each day. 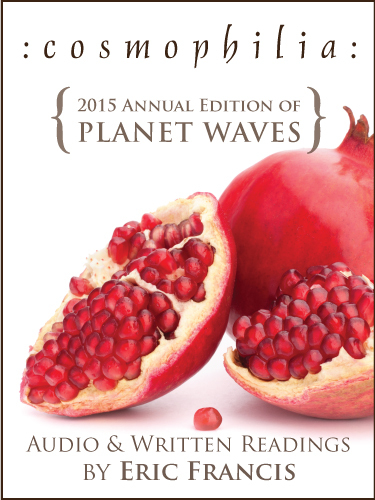 Whether you use this energy to venture into the unknown, develop your existing talents, or simply to reaffirm who you are and discover what you desire, Planet Waves offers an array of audio readings and classes designed to assist you. Something here is guaranteed to feel like it was made just for you, at this moment of your journey. 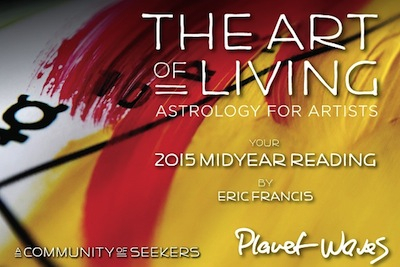 We are excited to announce that the the 2015 Midyear Report, The Art of Living / Astrology for Artists, has recently been published. The theme is how to live artfully; how to turn your life into a creative project; and how best to integrate conscious creation into your life, as a way of life. 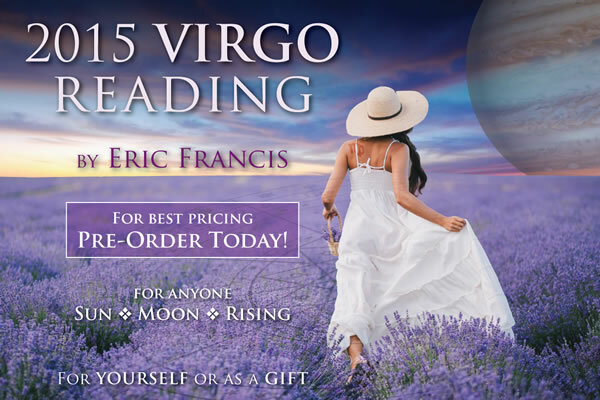 We are happy to announce that the 2015 Virgo Birthday Reading is now available for pre-order. This is likely to be an exciting year for Virgo Sun, Moon or rising natives, as Jupiter is now in the sixth sign, and Mars and Venus are on their way. Eric will explain how to make the most of the opportunities these energetic planets bring to your sign. 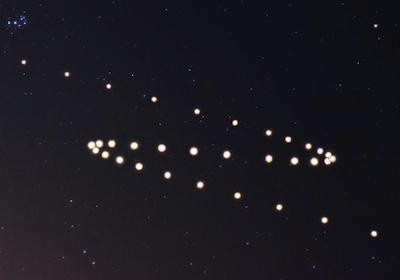 He will also outline the gathering of objects in your opposite sign Pisces, and how this could be of interest for your closest relationships. This year also brings a substantial, once-in-a-lifetime chance for you to reassess your past, make strides with emotional healing, and deal with that pesky inner critic. Your Birthday Reading includes two sessions of astrology of at least 30 minutes each, a tarot reading using the Voyager Tarot deck by James Wanless, and an extended written description of your astrological sign. 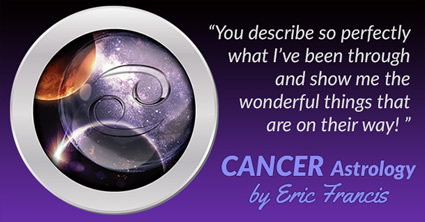 Eric will provide images of the charts and tarot spread he uses, so you can follow his ideas if you wish. 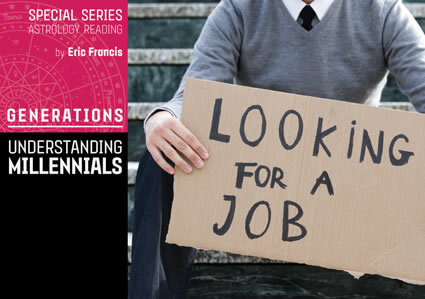 You'll also receive access to last year's reading. With all this available to you, why wait? 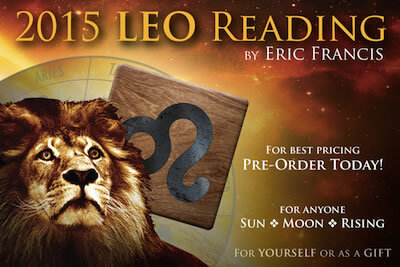 Pre-order your 2015 Virgo Birthday Reading today for just $24.95.